for your neighborhood right at your computer. Go to http://blightstatus.nola.gov and enter the name of any street in your area to see what’s been done about that blighted house down the block. Didn’t find what you were looking for? Maybe it wasn’t reported yet. here –> http://fsjna.org/links/steps-to-stomp-out-blight/ to find out what to do. Lots of folks say they don’t have time. Someone else will do it. Well, those “someone elses” also have jobs, kids and are pressed for time. It’s up to YOU to take action to make your neighborhood better. Don’t be “that guy” that says he’s too busy. People love to say, “there isn’t much blight in Faubourg St. John”. Why do you think that is? It’s not just because it is a great place to live and most folks are proud to live here, blight is reported and followed-up until it is gone. Below are some examples of what you’ll find if you search at http://blightstatus.nola.gov You won’t just find the maps below but links on the addressess on the maps where you can click to find out more information. The arrows on the map are not the exact location but the general area. When you visit http://blightstatus.nola.gov and enter in a street, you will get exact addresses to click on for more information. 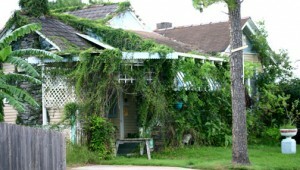 Check out the number of blighted property reports in Faubourg St. John on St. Ann Street alone!